You’ve been reading about this event on other blogs, I’m sure, but it’s well worth it for me to repeat the information of a fun event that will benefit a great cause. 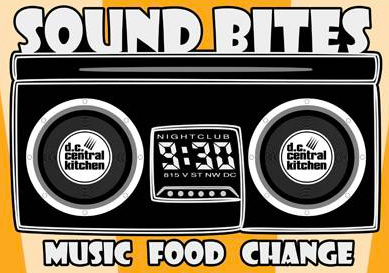 The 9:30 club will be hosting DC chefs and musicians this Sunday to benefit DC Central Kitchen. For the first time 9:30 club will expand to its exterior, making this the first indoor-outdoor event at 9:30. Tickets are only $30, which gets you samplings from 18 popular DC restaurants – including U street area favorites Busboys and Poets, Church Key, Commonwealth Gastropub, Cork, Marvin, and Masa 14 (and other U Street Girl faves like Jaleo, Taylor Gourmet, and Sauca). The crowd will also be treated to the sounds of DJ Will Eastman, US Royalty, Bluebrain, Fatback DJs, Beautiful Swimmers and Midnight Kids over the five-hour event. If you didn’t know, DC Central Kitchen is celebrating its 21st year of combating hunger and creating opportunity. The Kitchen works 365 days a year to provide the area’s neediest people with nutritious food and empower chronically unemployed men and women with the skills they need to get their lives back together. In the past year, 47 men and women, many of them ex-felons, gained jobs through the Kitchen’s Culinary Job Training program. Chef). The food was inventive and so tasty, the service impeccable and down to earth, the wine selection limited to Spain and wonderful. And after all the food we ate I was expecting the bill to be much higher, so I’m starting to believe friends that say Philly is one of the last affordable cities in the east. Also check out Parc (casual French bistro on Rittenhouse Square) and the huge Reading Market (as boyfriend described, Eastern Market on steroids). 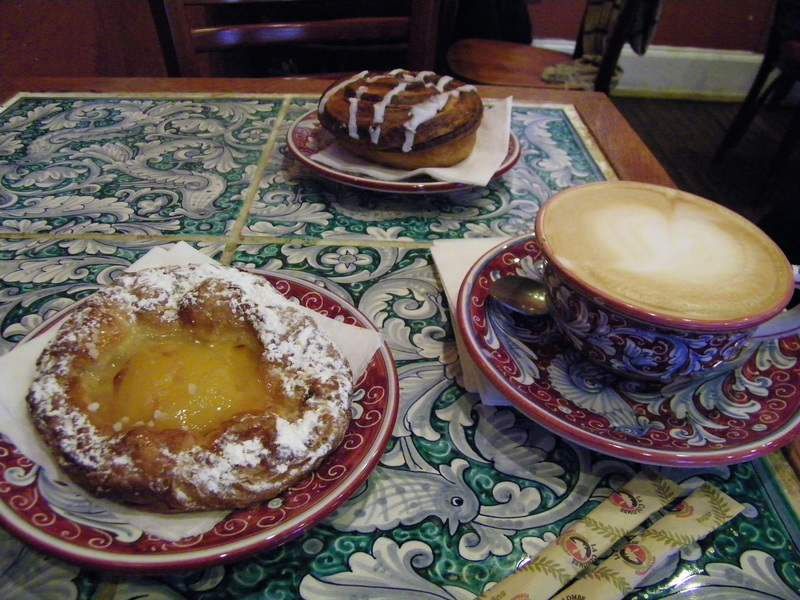 To drink: La Colombe (coffee, not liquor) – this coffee is good. Really good. We went back twice after enjoying it. Ask for a recommendation if you don’t know what to order (there’s no menu, by the by). As for liquor, I thought you could still smoke in Philly bars, so I wasn’t quite excited to go in (found out later only some bars have smoking exemptions) and ended up just chilling at restaurants for my imbibing pleasure. To see: architecture. There are a lot of great old buildings in Philly. 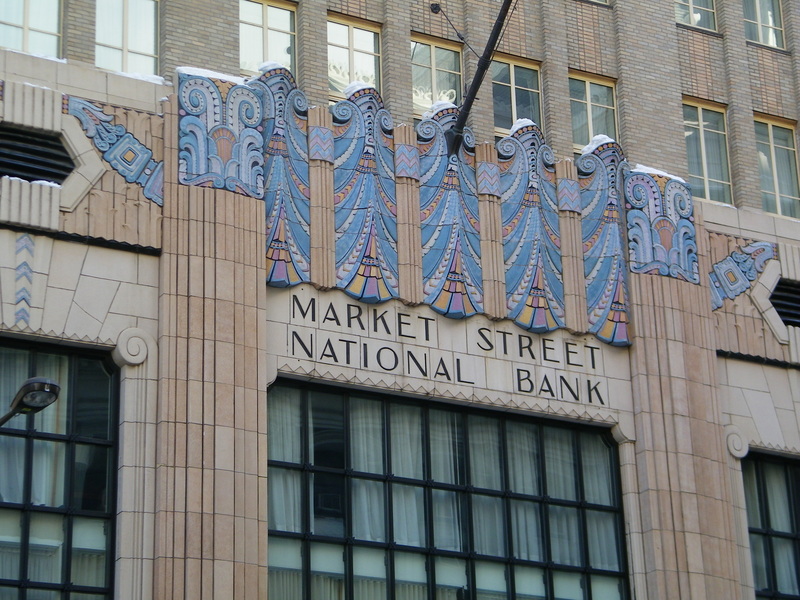 Some of my favorite parts of our weekend were just walking down random streets and seeing a fabulous building, taking a picture, and then reading more about it. Liberty Bell. Though our stay was short, I really liked the Rosenbach Museum, which houses the Rosenbach’s amazing collection of books/manuscripts (they were book dealers), furniture/knick knacks that would be worth a lot of money on Antique’s Roadshow, and some special exhibits. Also, Philly’s Art Museum has a great collection of American art, especially one of my favorite artists Marcel Duchamp (yes, his Fountain is there). Check out all of my photos from my trip on my Flickr photostream. For the first time, I took a day trip to Annapolis. What a cute, charming little town. I ended up checking out the Banneker-Douglass Museum, the Maryland State House, the William Paca House and Garden, and a boat tour around the river. A late lunch at 49 West and dinner at O’Leary’s Seafood made the experience all the more pleasant. It was nice wandering down the historic streets, checking out some of the museums, and being a tourist for a little while. And even though I spent a day full of things to do, there are many things I wish to see when I return, such as get a tour of the Naval Academy, check out some of the public parks, and see more of the historic houses. Annapolis is a great little day trip to get out of the city for a day. See more pictures in my Flickr photostream. I, like everyone else on Facebook, have been tagged a few notes called “25 random things about me.” While I find it cute, I wasn’t really compelled to write my own list. However, this morning when I read one of my favorite food blogs, Mighty Appetite, I saw that the blogger Kim O’Donnel had taken that concept and twisted it, she’s written a list of 25 random kitchen things about her. Now that’s my kind of list. I’ve expanded it beyond the kitchen to be about food, so I could write about my food experiences outside of the kitchen as well. I cut it to 10 because I’m lazy. I’m currently having a love affair with olives. I think I’ve been eating at least 10 a day. I’ve been going through jars at a rapid place and am always ordering them when I eat out. I love restaurants like Jaleo that give you olives to eat in lieu of bread. At the beginning of the spring I buy fresh herbs with all intentions of tending to them and having fresh herbs to cook with through the end of the year. They wilt by the end of the summer. Growing up, my favorite dish was an Italian casserole my dad made: penne, tomato, Italian sausage, and mozzarella cheese. He makes it for me every time I’m home and it makes me oh so happy. However, I’ve never made it for myself. My family has a vegetable garden as well as a few fruit trees and now I miss not having my own fresh eggplants, tomatoes, zucchinis, lettuce, strawberries, blueberries, and pears every summer. The U street farmer’s market is an OK substitute. I’m a sucker for a good, full bodied red wine. 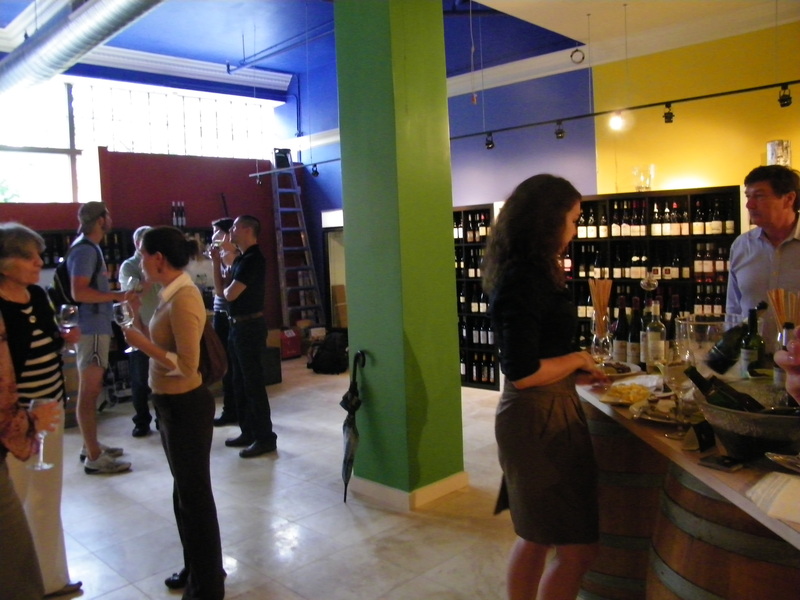 Recent favorites have been a Tempranillo from Spain, a Malbec from Argentina, and a Pinotage from South Africa. The Food Network, an old roommate, and my competitive nature forced me to start cooking seriously. I just had to one-up her great creations in the kitchen and match her aspirations to go to cooking school. She took a few classes at Le Academie de Cuisine, I’m still working on it. I’ve had several dining partners over the past few years, and it’s great to have a foodie friend who will go out and try whatever restaurant you’re into. It’s a bummer though, when you’re both broke and can’t afford to go out to the really nice places you want to eat at. That’s where cooking together comes in. I don’t know how to use a charcoal grill. I wish I did, but my father is territorial over the grill or something (must be a man thing) and never taught me how. I think this makes me deficient in someway. I have foodie crushes on Jose Andres, Eric Ripert, Anthony Bourdain, Mark Bittman, and Alton Brown. I recently had a dream where Anthony Bourdain was my boyfriend and I woke up happy. Real life boyfriend did not seem to mind this because he understands my foodie crushes. I used to hate onions, mushrooms, and fish. Now, I’ve given them all a chance and I love onions and most fish. However, I still hate mushrooms.